In my experience, there are three kinds of people who have heard of this musical: those who were in it in middle school, those who have a child or sibling who was in it in middle school, and those who teach middle school. Even self-professed musical theater geeks don't tend to know it. Which is really a shame, because it deserves better. 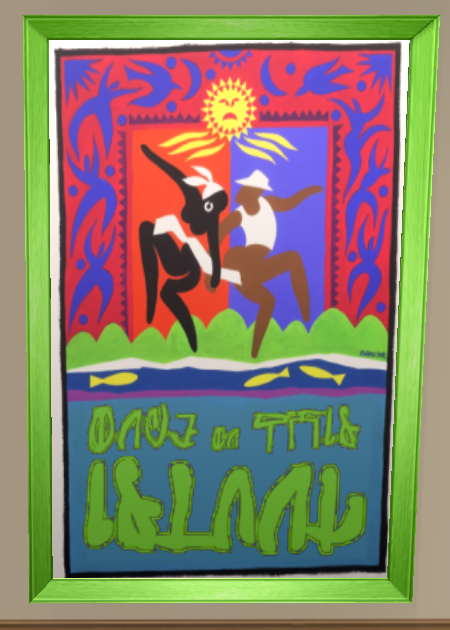 Here I've made three posters for Once on This Island, in case the show is more well-known in the Sims 2 universe than it is out here. They are recolors of the base game "Lady on Red" painting, which is under Decorative/Wall Hangings for Â§180. The first poster (labeled "Broadway") is the same poster I have on my wall, with the title translated to Simlish. Yes, the letters really are that messy, and yes, the outline really is tilted for some reason. I got the image from the Miller Outdoor Theatre page here, though since my physical copy has green text and a green frame and looks really nice that way, I made the text green. 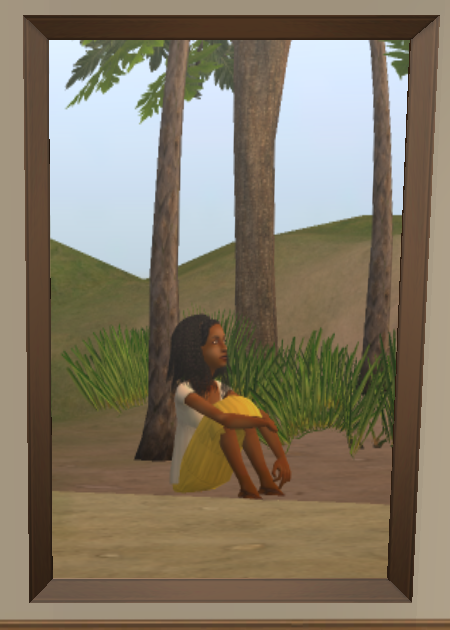 The second poster is a picture of Ti Moune based on this photo, which is also the image for the TV Tropes page. The last one is a poster of the gods. 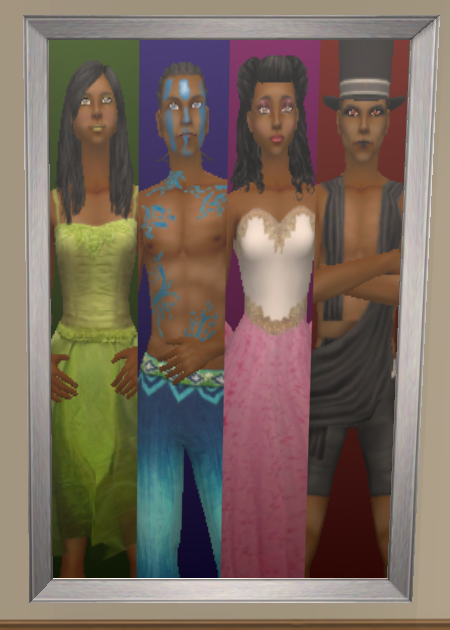 I didn't have one singular reference here; depictions of the gods vary wildly by cast, budget, and other such things, so after studying Google, my eighth-grade yearbook, and various TS2 custom content sites, I went with my gut. ...Whew. And that's how I learned to limit how much CC I use for screenshots. 16 people have said thanks to Kestin for this download.